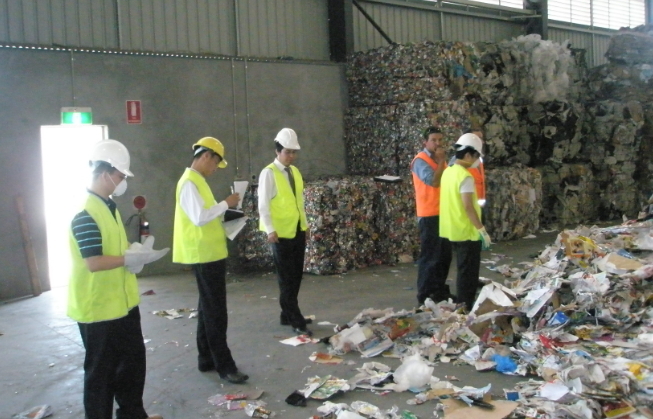 According to the regulations under the Law of the People’s Republic of China on Import & Export Commodity Inspection, the AQSIQ has decided to authorize certain inspection companies to carry out pre-shipment inspection of recycling materials at the loading ports overseas, with the attempt to reinforce the management and supervision of imported recycling materials, protect the environment and people’s health, ensure the safety of industrial and agricultural production,. CCIC Australia is one of the authorized companies which carry out relevant inspection in Australia. Please make online application through PSI Electronic System, website address is www.psi.cnca.cn and submit to CCIC Australia at least three working days prior to the scheduled container loading and goods packing time. It is the applicant’s responsibility to provide complete and accurate information for each inspection and assist CCIC Australia to arrange inspection efficiently. Please notify CCIC Australia by email (certificate@ccicaus.com) about PSI application number. If the application is accepted, a ‘Confirmation of Application for Pre-shipment Inspection’ which includes PSI application number and the contact details of the appointed inspector will be emailed to the applicant. If the application is rejected, a ‘Rejection Notice of Application for Pre-shipment Inspection’ will be sent to the applicant. It’s recommended that applicant contact with inspector and confirm onsite inspection time. The appointed inspector will carry out on-site inspection according to the time and address which is confirmed by applicant/ representative authorised by applicant. Once the cargos pass the inspection, applicant need to send container and seal photos (Notice-for-photos-for-scrap-materials ) along with container list via email to certificate@ccicaus.com for the request of draft certificate. CCIC Australia will check photos and container list first. If all information is matching and correct, a draft certificate will be sent to applicant for approval. It’s applicant responsibility to check all information on draft certificate. If it’s all correct, or if there are any amended requests on the draft, please always send email to certificate@ccicaus.com . Upon receiving approval from applicant, CCIC Australia will issue the original certificate with a tax invoice. Original certificate could only be mailed out to applicant when payment hit up CCIC Australia nominated bank account. A Notice of Rejection will be issued to the applicant with a tax invoice when the cargos don’t pass the inspection. Invoice amount is calculated according to current Inspection Rates for Scrap Materials, full charged on the basis of container quantity declared on the application form.